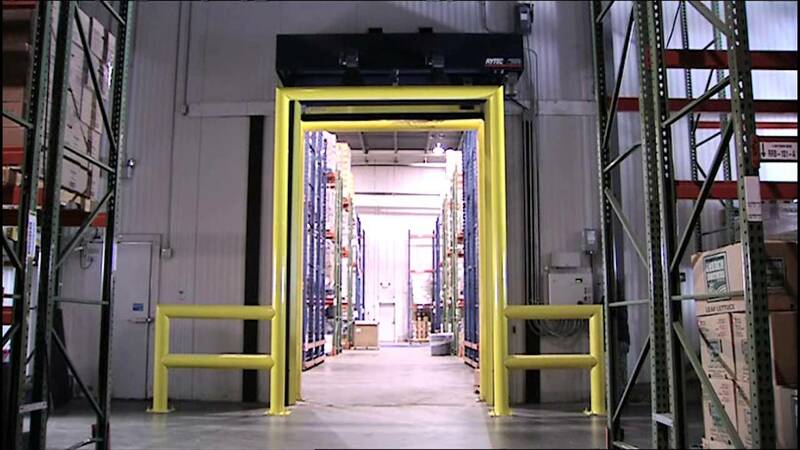 Ensuring safety is critical in high-speed industrial door environments. Rytec's Pathwatch® and NEW Pathwatch® II systems are effective, intuitive and customizable safety communication technologies designed to increase threshold safety. Unlike conventional warning lights, the Pathwatch® systems attract attention from nearly any angle or direction of travel — exactly when and where it is most critical. Bright, energy efficient, LED lights effectively capture attention to warn personnel that the door panel is about to move. Intuitive lighting system uses amber colored light that flash to indicate door movement is imminent and red lights illuminate when the door is closing. Fully adjustable flash rate and timing to match the needs of individual high-speed environment.